The leaves have a strong aroma somewhat reminiscent of passion fruit or strawberries, used for flavouring and perfumery. Prefers full-sun conditions and well-drained soil, tolerant of low soil fertility. Natural occurs in montane woodlands near Tenterfield NSW. 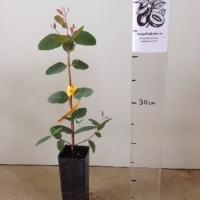 Medium-sized tree up to 10 metres. The tree is frost tolerant down to -8C degrees. 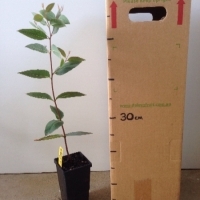 Strawberry gum is ideal for temperate conditions but can also grow in subtropical conditions. Leaves can be harvested as required. Harvesting the leaves for culinary use and cut-foliage can done individually or by pruning branches back by 60-80 cm. Regular light pruning also maintains a shorter tree and denser canopy more suited for backyard situations. Use: The strawberry gum has several uses due to the presence of essential oils in the leaf and has been harvested commercially for flavouring and perfumery since the 1980s. Strawberry gum leaf is used to enhance the flavour of cooked fruit dishes and in deserts spiced jams and confectionary to bring-out the classic berry flavour. 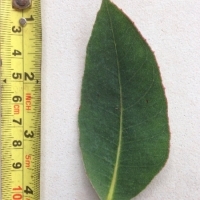 The leaf is used fresh or dried and as a ground spice. It can also be used in native herb teas and carbonated beverages. The main ingredient methyl cinnamate which imparts a fruity aroma and flavour and composes of up to 98% of the essential oil with ocimene being the remainder at 2%. The oil yield is very high varying from 2-6% fresh weight. When distilling a natural solvent needs to be added to the still during distillation to prevent methyl cinnamate crystals clogging the still. Comments: - aka "Forestberry herb". 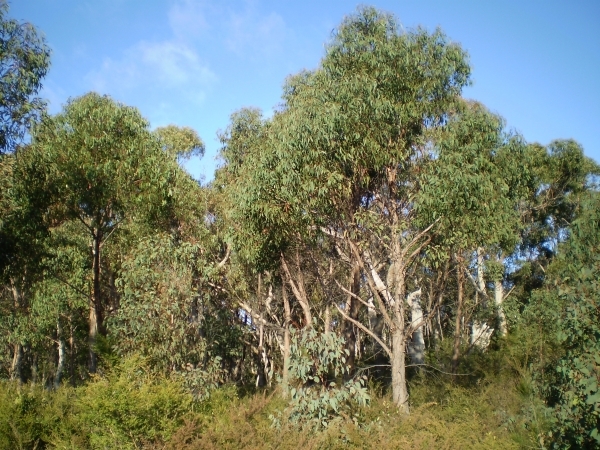 Leaves have a sweet berry overlay on the eucalyptus and are edible. No fruit. Growing slowly but very healthily and steadily. Love this plant and will put more in. Another happy seedling that seems to like the home we gave it. It will be long time before i can look up at a tree, but enjoying the progress nonetheless.